Pengly The Penguin | Live. Learn. Love. Eat. I finished my first ever sewing project tonight. His name is Pengly the Penguin. 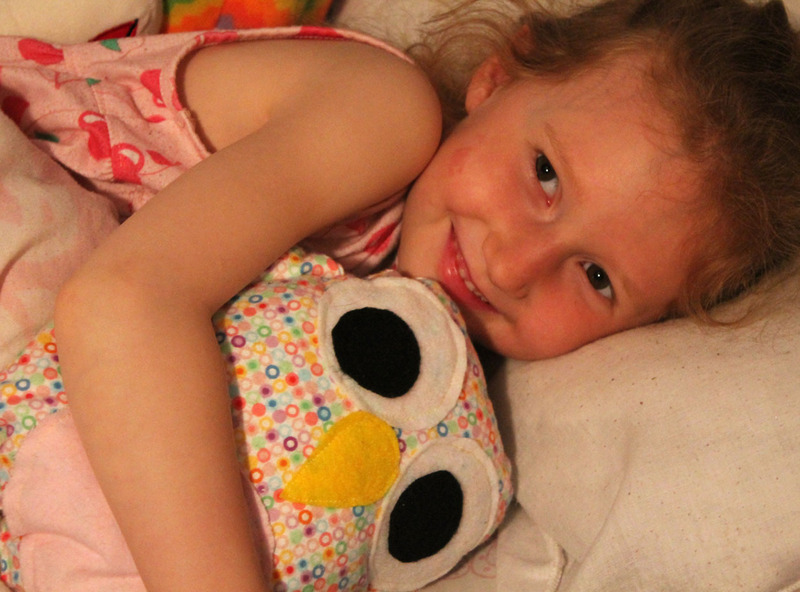 I bought a pattern on Etsy to make a penguin for Kesa and another one for an owl that I plan to make for Autumn. 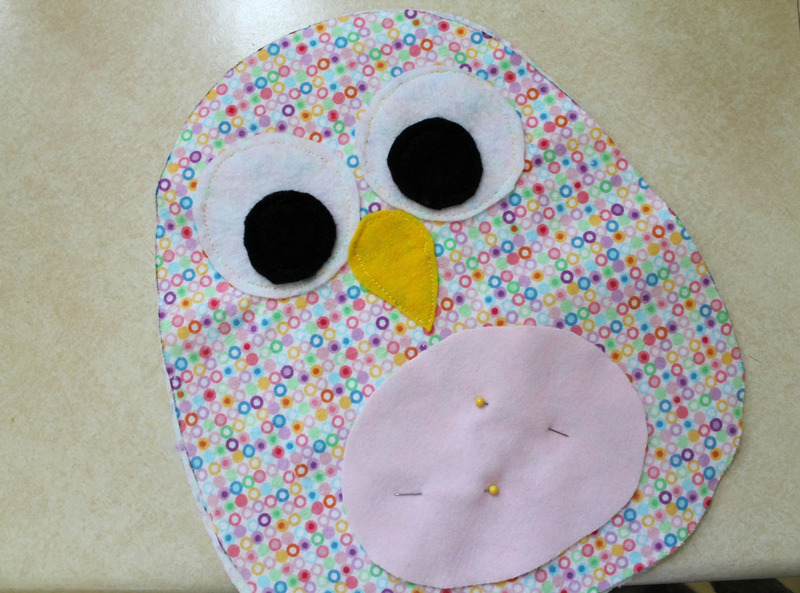 Although, this penguin pattern did end up looking like an owl anyways. Even though at times I wanted to give up on this project, I am so glad that I finished. It is not perfect by any stretch, but she loves it! I am also glad that it only took me an hour yesterday and a few hours today from start to finish. 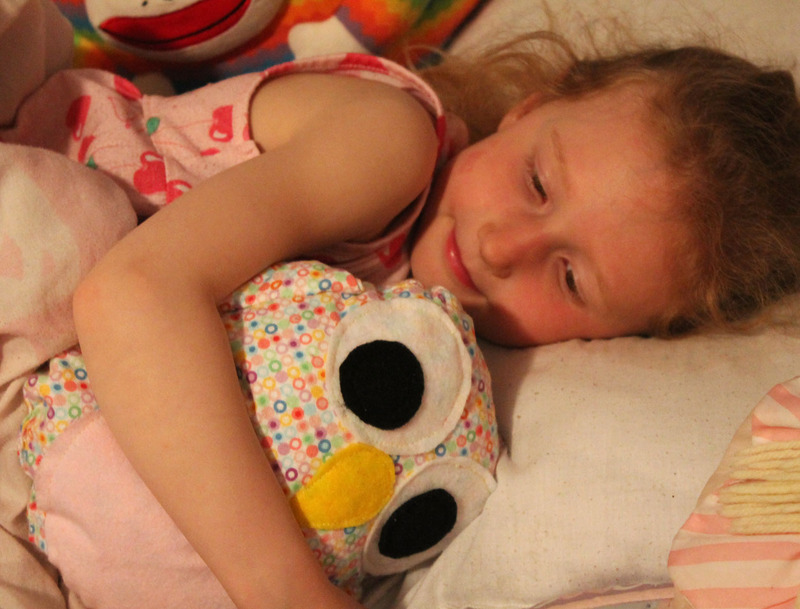 It was sort of rushed because a certain someone kept coming around to ask when her Penguin would be done so that she could cuddle him, so I wanted him done before bedtime. I also don’t exactly find sewing that fun yet. 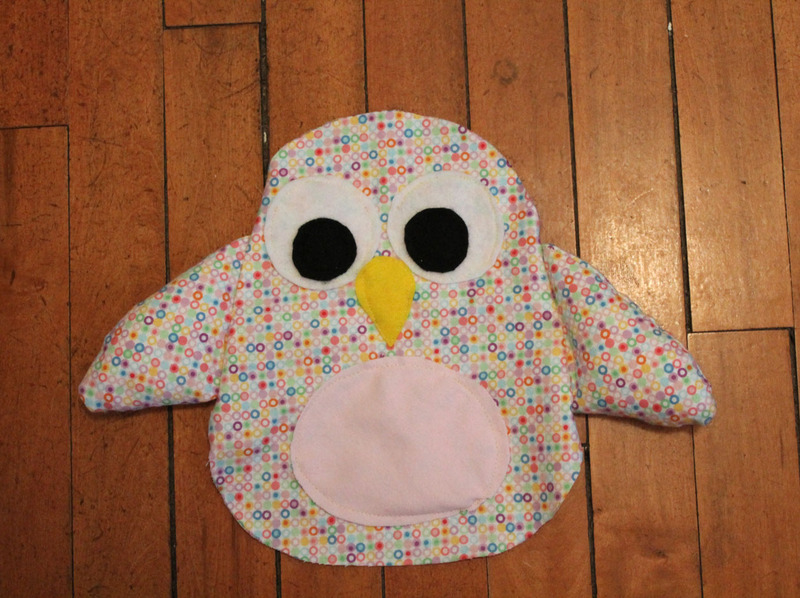 With a little practice, I hope that sewing will become as easy as baking is to me now. It is especially fun to have Autumn helping out, watching and learning. She was watching all the while and helped to cut the material for Pengly and stuff his wings and body too. She loves to sew! I am enjoying doing things that take a lot of time and patience. 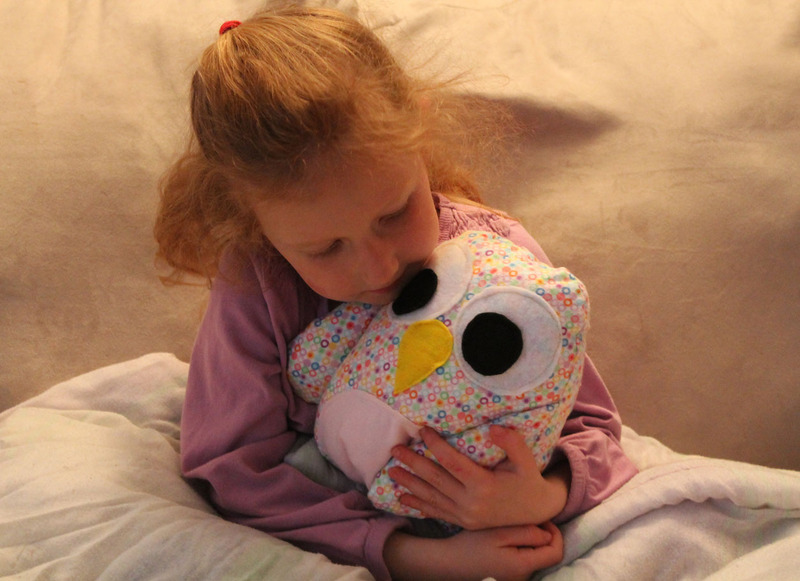 If you want to learn how to be a more patient person, just try using a sewing machine. 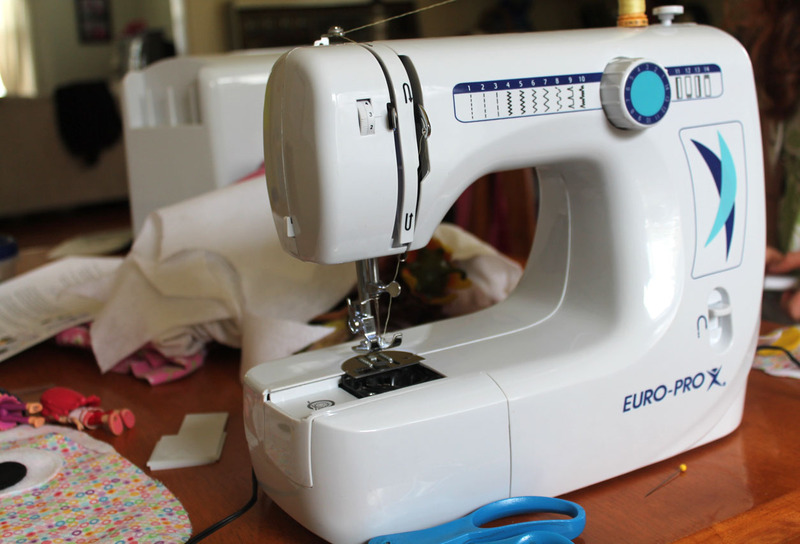 If you want to learn how to be an extremely patient person, try using a sewing machine with three little kids around you, one curious girl trying to grab the thread (and cause it to come undone), one begging for you to hurry up and one having some sort of emotional drama going on. Yep, it was fun times! Well done for pursuing !! It looks great, I can’t believe it took you an hour! Seriously, supermummy. What did you stuff it with? No, not one hour. I am not that supermom! lol. It took an hour on Sunday and a few hours yesterday too. I stuffed it with the filling from the inside of a pillow, not sure what it is exactly called, but it looks like just polyester fiberfill. That is adorable! Nice job, mama! Oh my gosh, I love it so much! 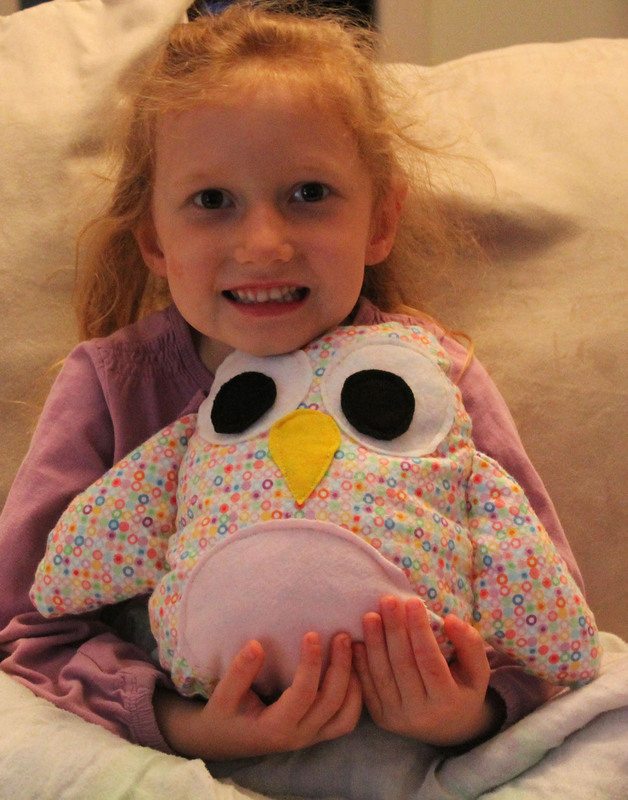 How perfect your first sewing project turned out! 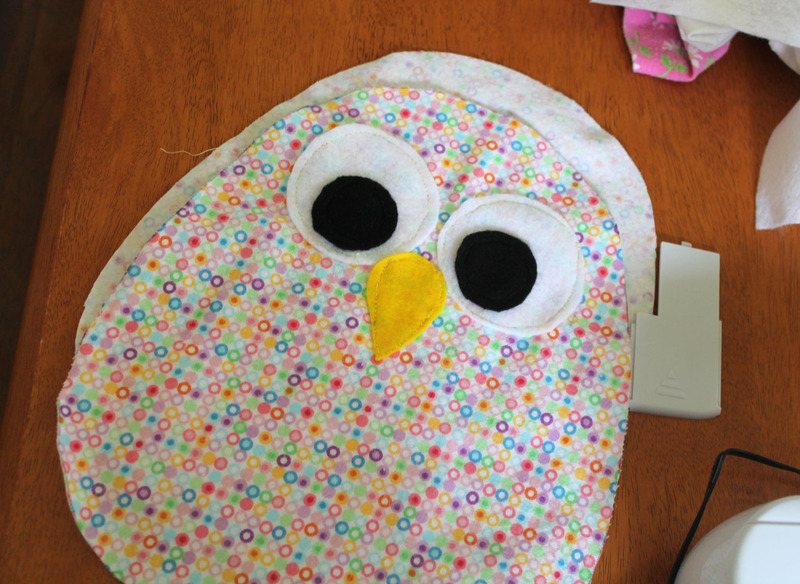 This makes me want to dust off my sewing machine and make something! My mother is a super seamstress and always tried to get me interested in sewing when I was little, but that patience thing took a toll on me =P Good luck with it! Hopefully, it’ll get easier and more fun!